The Bethany College men's basketball team has added Richard Jackson to the coaching staff as the new assistant coach. A native of Lafayette, Colorado, Jackson spent the previous year as the assistant men's basketball coach at East Texas Baptist University. While there, he was in charge of academic monitoring and mentoring, player devleopment, opponent scouting, travel coordination, and budget management. Jackson also served as the video coordinator and equipment manager and helped identify and evaluate prospects, attended recruiting events and maintained Front Rush data base. 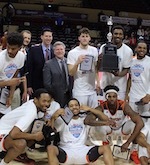 Jackson helped lead the Tigers to a overall 21-7 record and a 2018 American Southwest Conference tournament runner-up finish. Prior to East Texas, Jackson spent four years at Lubbock Christian University as a student manager and later graduate assistant for the men's basketball team. During that time, the Chaps went 77-40, which included a trip to the NCAA Division II Tournament in 2016. In the first round, the #8 seeded Chaps upset #1 seed Midwestern State to move on to the second round, where they fell to Tarleton State. 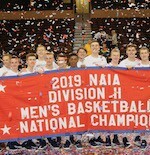 Jackson's primary responsibilities at LCU included assisting with practice, player development, recruiting, scouting, strength and conditioning, and video operations. Off the court, Jackson graduated with a bachelor's degree in Exercise and Sport Science in 2015 and a master's in Organizational Leadership in 2017. Prior to LCU, Jackson attended Chadron State (Neb.) from 2011-13. Jackson has also helped out summer camps at both the University of Colorado-Boulder and the University of North Carolina-Chapel Hill.